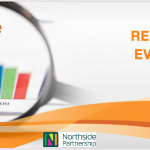 The Board of Northside Partnership has welcomed the publication of National research commissioned by the Department of Employment Affairs & Social Protection. This report found that the not-for-profit Local Employment Service (LES) is successful in achieving full-time employment placement for 28.8% of those referred to them annually. The local data in this report highlighted that the LES operated by Northside Partnership in Coolock and Kilbarrack is one of the most successful in the state with over 40% of Job Seeking participants progressing into employment in 2016. The overall service also received significant endorsement from the employers who engage with it, with 89% of respondents indicating that their engagement with an LES had helped them to find suitable candidates for available jobs, while 83% of employers stated that the LES provided an efficient recruitment service for their organisation. As a non-profit organisation we are immensely proud of this achievement and wish to thank our dedicated LES and Jobs Club staff for their continued commitment to supporting those we serve.